In response to feedback from the Financial Accounting Standards Board’s (FASB) Not-for-Profit Advisory Committee (NAC) and other stakeholders on existing standards for financial statements of not-for-profit entities (NFP), the FASB issued ASU 2016-14 in August 2016, which is the first of two phases the FASB has undertaken to improve the accounting and financial reporting of NFP’s. The over-arching purpose of the revisions to Accounting Standards Codification (ASC) Topic 958 was to simplify and improve the net asset classifications and to provide more useful information regarding a not-for-profit entity’s liquidity, financial performance, and cash flows to donors, grantors, creditors, and other users of financial statements. The ASU addresses many, but not all, of the issues identified in the current financial reporting requirements. The FASB plans to address other issues identified in NFP financial reporting at a later late. The main topics it plans to address are the definition of operations for financial reporting purposes and how to align certain measures of operations under this new definition between the statement of activities and the state of cash flows. Currently there is no scheduled date for this project. Currently, a NFP is required to present three classes of net assets on the statement of financial position and changes in each of those three classes on the statement of activities: unrestricted, temporarily restricted and permanently restricted. Under the amended guidance, these three classifications will be replaced with two new classes: net assets with donor restrictions and net assets without donor restrictions. A NFP is still permitted to show amounts of net assets with internal or Board designated restrictions on the face of the financial statements; however, these sub-designations must be shown within the two required net asset classes. 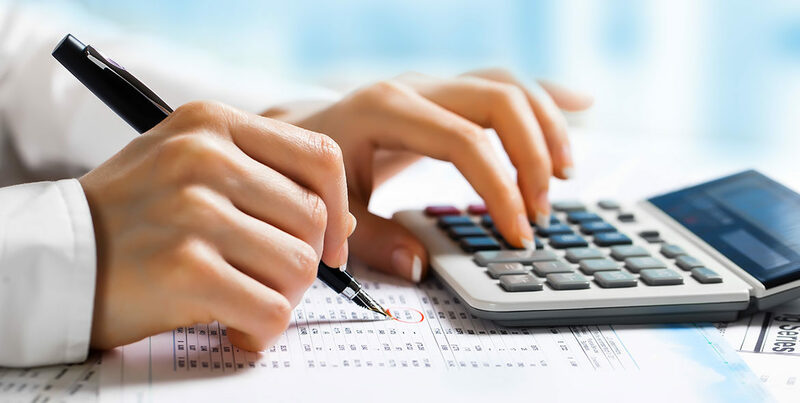 A NFP is still required to present total net assets. A NFP may continue to present cash flows from operations using either the indirect or direct method of reporting on the statement of cash flows; however, a NFP electing to use the direct method is no longer required to present a reconciliation using the indirect method of reporting. All NFP’s will now be required to present amounts of expenses by both natural and functional classifications. This can be accomplished on the face of the statement of activities, as a separate statement, or in the notes to financial statements, but should be shown in one central location in the financial statements. Return on investment will now be reported net of external and direct internal investment expenses. A NFP will no longer be required to separately disclose the nature and amount of those netted expenses. Underwater endowment funds will no longer be reclassified out of donor restricted funds, but will be included in donor-restricted endowment funds and additional disclosures (see below) will be required. Absent explicitly stated restrictions, expirations of restrictions for cash or other assets gifted to be used to acquire or construct long-lived assets will be reclassified from net assets with donor restrictions to net assets without donor restrictions as the related assets are placed in service, rather than the current method whereby the reclassification occurs over the estimated useful life of the acquired or constructed assets. The following disclosures regarding underwater endowment funds: the NFP’s policies, and any actions taken during the period concerning appropriation from underwater endowment funds; the aggregate fair value of such funds; the aggregate of the original gift amounts to be maintained (either by donor or law); and the aggregate amount by which funds are underwater, which are to be classified as part of net assets with donor restrictions. The amendments are effective for annual financial statements issued for fiscal years beginning after December 15, 2017, and for interim periods within fiscal years beginning after December 15, 2018. Early adoption is permitted and should be initially adopted only for the annual fiscal period or for the first interim period within the fiscal year of adoption. Application of the amendments to interim financial statements in the initial year of adoption is also permitted but not required. Upon adoption of the ASU, the amendments should be applied retrospectively in the fiscal period that the ASU is adopted. If the NFP presents comparative financial statements, they have the option to omit the analysis of expenses by both natural classification and functional classification and disclosure about liquidity and availability of resources for all periods presented prior to the period of adoption, if not previously required. In the period of adoption, the NFP should present and disclose the nature of any reclassifications or restatements and their effects on changes in the net asset classifications for each period presented. The name of the game is transparency. A NFP and its management has the responsibility to communicate effectively to stakeholders its actions taken to carry out the purpose of the NFP. These amendments are not meant to represent drastic changes to accounting or presentation for NFP’s. In fact, initial feedback from NAC and other stakeholders to FASB indicated that current standards were sound. Rather, these amendments are intended to enhance the transparency that users of the financial statement require. Tidwell Group believes the amendments included in the ASU accomplish that purpose by reducing complexities in reporting classifications of net assets, and by providing more useful disclosures regarding liquidity and financial performance, without a significant amount of cost incurred to implement such changes. Tidwell Group is a full service accounting and consulting firm with a national presence focused on serving clients within the real estate industry. 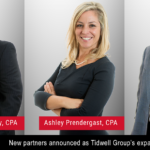 To learn more about the firm please visit our website at www.tidwellgroup.com.